SKF Aerospace engineers are partnering with SKF’s customers to develop the innovations of today and tomorrow. For the aerospace industry, the past decade has proved to be the most exciting, dynamic and innovative time in its history. Record commercial orders, new government and environmental regulations, unpredictable fuel prices and global conflicts are just a few of the key aerospace industry drivers that have sparked an unprecedented launch of new platforms and technology implementations. SKF Aerospace technical teams from around the world work side by side with SKF customers to make sure that the challenges of today and tomorrow are met. da Vinci, John Stringfellow and Lawrence Hargrave conjured up ideas on how to get some of the strangest machines to fly long before the Wright Brothers’ famous first flight at Kitty Hawk. Experiments with gliders provided the groundwork for heavier-than-air craft, and by the early 20th century advances in engine technology and aerodynamics made controlled, machine-powered flight possible for the first time. On 17 December 1903, at 10:35 a.m., the Wright Brothers, with Orville at the controls, made the first heavier-than-air, machine-powered flight. It lasted 12 seconds and spanned 36.5 metres (fig. 1). The modern aeroplane with its characteristic tail was established by 1909, and from then on the history of the aeroplane became tied to the development of more and more powerful engines. Fig. 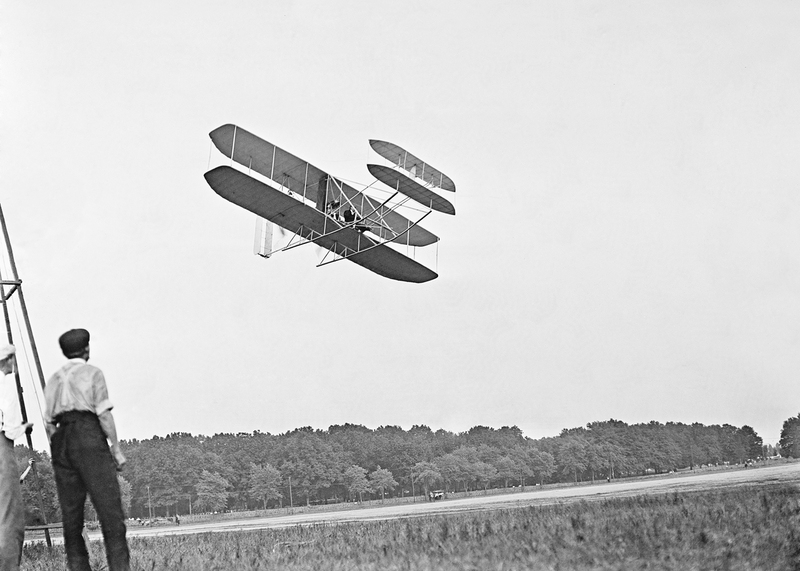 1: The first motorized aircraft flight ever was made by the Wright Brothers on 17 December 1903. Between the 1940s and 1960s, aircraft speeds increased by a factor of four, with even faster concepts already on the drawing board – concepts that today become a reality with the potential return of supersonic flight. In 1907, the world speed record (220 km/h) was set by aviation pioneer Glenn Curtiss – not on an aircraft, but rather on a motorbike (fig. 2). Fig. 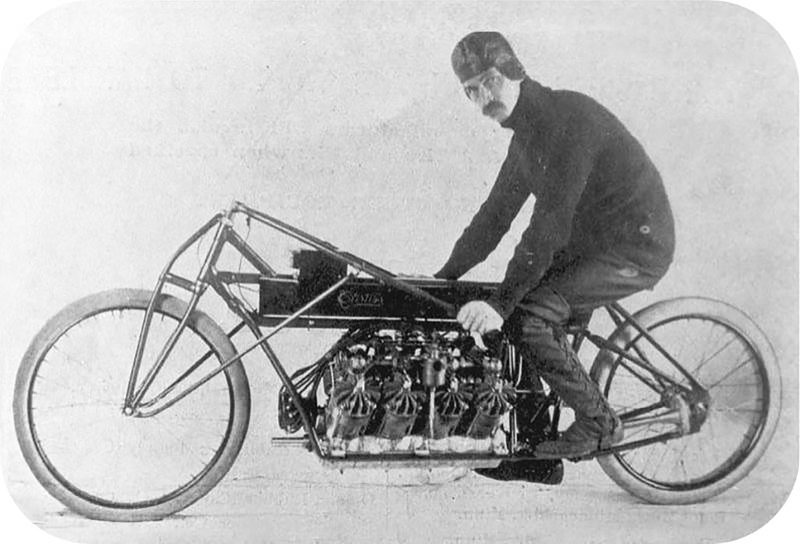 2: In 1907, Glenn Curtiss set the world speed record, 220 km/h, on a motorbike. It would be six years later, in 1913, that one of the first engines specially designed for aircraft use, the Gnome rotary engine – a 14-cylinder, 117 kW (160 hp) device fitted to Frenchman Louis Béchereau’s wooden aircraft – won that year’s Gordon Bennett Aviation Trophy with an average speed of 200 km/h. After World War I, a worldwide military push for technology drove the speed race, while at the same time the first aviation industry standards focused on safety, which were instrumental for the evolution of commercial air travel. An important milestone in the annals of flight and speed is Lockheed Martin’s SR-71 Blackbird (fig. 3). In 1976, it broke the world’s airspeed and altitude record, 3,529.6 km/h at an altitude of 25,929 m – a record that stands today. Fig. 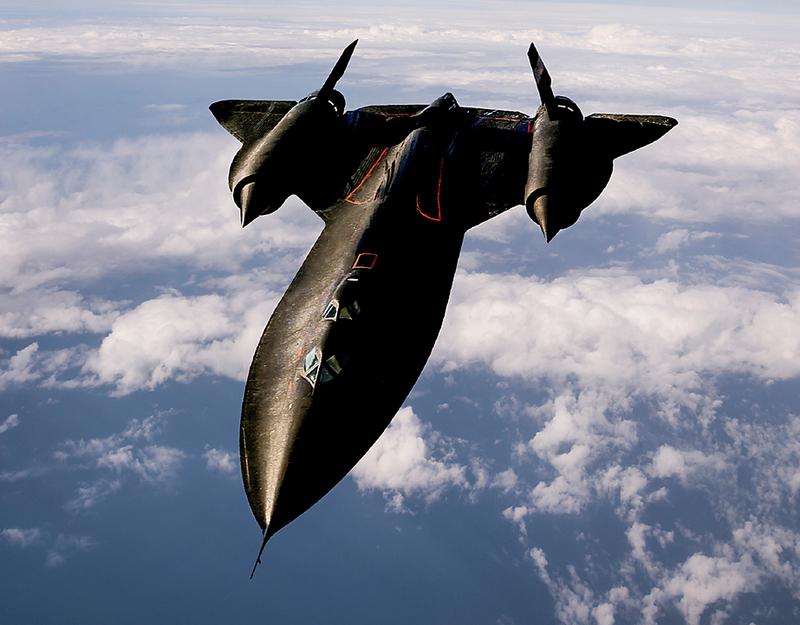 3: Lockheed Martin’s SR -71 Blackbird holds the world’s airspeed record, established in 1976, of 3,529.6 km/h. The SR-71 regularly flew missions at speeds beyond Mach 3 and could survey more than 250,000 km2 of the earth’s surface per hour from a height of 24 km. Such extreme operating conditions enabled the aircraft to safely avoid interceptor fighter jets or missiles, but it also forced the two-person crew to wear astronaut-style suits in case of loss of cabin pressure. Behind any of the aircraft previously mentioned is the power plant. In the past there were many unique and varied ways to power an aircraft, but today the most commonly used design for commercial flight is the turbofan (fig. 5); a further development of the turbojet. A turbojet engine is a gas turbine engine that works by compressing air with an inlet and a compressor (axial, centrifugal or both), mixing fuel with the compressed air, burning the mixture in a combustor and then passing the heated, high-pressure air through a turbine and a nozzle. The compressor is powered by the turbine, which extracts energy from the expanding gas passing through it. The engine converts internal energy in the fuel to kinetic energy in the exhaust, producing thrust. 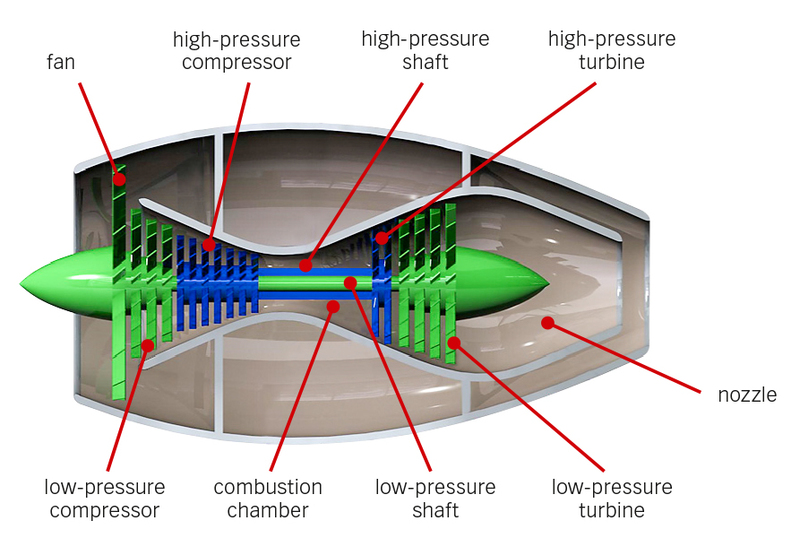 All the air ingested by the inlet is passed through the compressor, combustor and turbine. Because the turbojet engine is a heat engine, the higher the temperature of combustion, the greater is the expansion of the gases. A turbofan additionally has a fan (fig. 5), to push some of the air around, rather than through, the core. The mass flow ratio of air bypassing the core compared to the mass flow passing through the core is known as the bypass ratio. The main advantages of a turbofan engine are significant reductions in fuel consumption and noise. Some of the latest turbofans have bypass ratios as high as 12:1. Fig. 5: Principle of a turbofan engine. The SKF Aerospace team has more than 2,500 employees and is one of the world’s largest manufacturers of bearings for the aeroengine market. SKF is a leader in aeroengine, airframe and elastomeric bearings, composite structural solutions, seals, units and related technology. 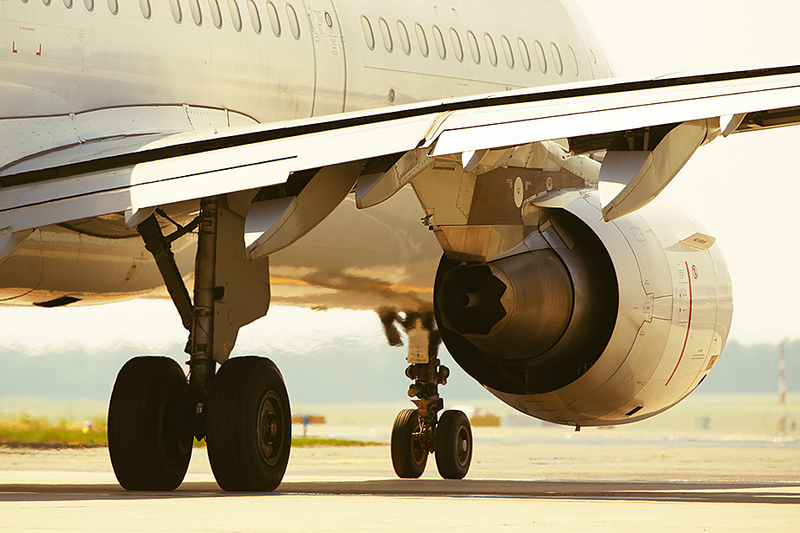 SKF is helping to change the aerospace industry by assisting aircraft builders to meet a variety of customer demands by providing an array of innovative solutions. 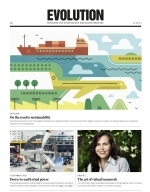 This is what continues to drive SKF forward. SKF Aerospace in the United States started in 1940, when SKF purchased an aerospace bearing facility in Philadelphia, Pennsylvania. To meet the growing demand for aircraft bearings, SKF acquired MRC, part of TRW Bearings Division, in 1986, situated in Falconer, New York (fig. 6). The acquisition of MRC included a precision ball bearing plant in Winsted, Connecticut. SKF eventually closed the aerospace bearing facility in Philadelphia, transferring some production to the MRC locations. In 1990, SKF purchased Chicago Rawhide, today SKF Sealing Solutions, located in Elgin, Illinois. Aerospace seals and motion control products are manufactured at this location today. Fig. 6: SKF Aeroengine North America, located in Falconer, New York. In 2000, SKF established the Aero Bearing Service Center (ABSC) in Charleston, South Carolina. ABSC specializes in overhaul and repair services for aircraft engine bearings. In 2007, SKF entered into a joint venture with General Electric Aircraft Engines to establish a manufacturing facility in Ladson, South Carolina. In 2013, SKF acquired the Kaydon Corporation, which manufactures products for all segments, including aerospace. 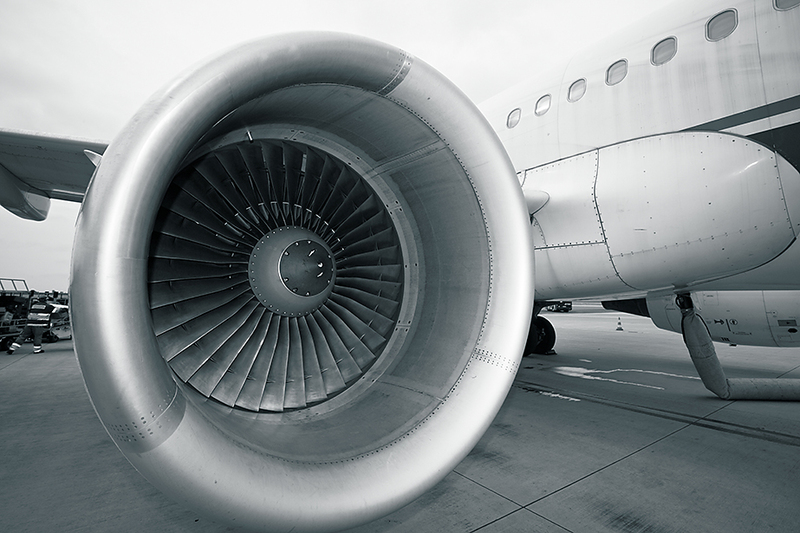 Kaydon’s aerospace product portfolio includes carbon seals and circumferential seals; carbon seal designs are primarily utilized as main shaft bearing seals in aerospace and aircraft engine applications. Aerospace turbine engine shaft seals are engineered to seal the main shaft bearing compartment and oil sump for more efficient and environmentally sustainable operation. 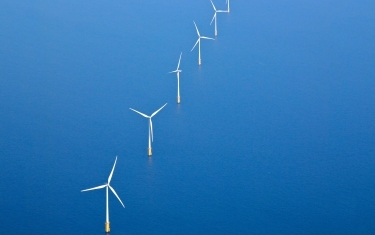 SKF Aerospace Europe began with Clevedon, located in North Somerset, England. It was formally known as AMPEP, Aerospace. The business was established in 1963 and purchased by SARMA, an SKF company. In 2005, a further change happened when AMPEP became SKF (U.K.) Limited, Aerospace – Clevedon. Clevedon specializes in the design and manufacturing of self-lubricating PTFE/glass fibre-lined bearings for both aerospace and industrial applications. These bearings are used extensively in fixed wing and helicopter applications, primarily in the movement of flight control surfaces. In 1966, SKF bought the RIV bearing factory in Villar Perosa, Italy. The Villar Perosa facility manufactures customengineered bearings and solutions for aeroengine power generation, transmission equipment and other special high-tech applications. In 1971, SKF built a factory in Lons-le-Saunier, France. In 2005, SKF assumed 100 % control of the Stonehouse factory in Gloucestershire, England. Stonehouse has a 90-year history as a bearing manufacturer and as a major supplier to global aerospace companies. In 2006, SKF acquired SNFA, a leading French high-precision bearing company. 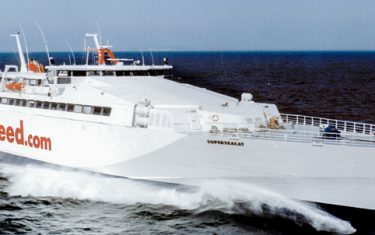 Founded in 1952, SNFA is located in Valenciennes. The company designs and manufactures high-precision bearings for aerospace, space and special applications. In 2013, the Aerospace Technical Center Europe was opened in Valence, France. This center employs highly qualified engineering personnel for advanced product development, and is equipped with world-class testing facilities for aerospace solutions. 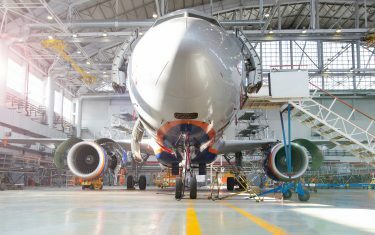 As the aerospace industry pushedlimits of many technologies, bearings were a key component enabling these achievements. Most important for main-shaft engine and gearbox bearings were developments in materials and thermal processing (forging, heat treatment, etc.). This was the primary focus area and remains so today (fig. 7). Fig. 7: Advances in materials, thermal processing and manufacturing technology have all been key enablers in the evolution of main-shaft engine bearings, including both increased performance and ability to include integrated structures. As engines became specifically designed for aircraft, so did the components, and from the 1930s through the 1950s “dirty” bearing steel (early 52100) – poor composition by today’s standards but with acceptable reliability – was the premium solution. 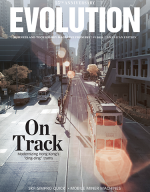 As governments became a driving force of supply chains, industry standards set minimum requirements for critical materials via, for example, the First Global Aviation Standards 1944 – Chicago Convention. This then led to military aircraft leading the way to the practice of frozen processing plans and bearing designs controlled by engine and gearbox OEMs – driving reliability improvements and risk reduction. steel, having greater residual compressive stresses at the contact surface, gives additional resistance to rolling contact fatigue. The “softer”, more elastic core properties allow the designer to utilize tighter fitting practices, which are required with increasing operating speeds and the effects of ring growth relative to the shaft. These properties must be maintained at temperatures that can reach and in some situations exceed 200 °C, where the material must maintain a surface hardness of at least ~58 HRC to ensure reliable operation. Nitriding of M50/M50NiL can significantly increase surface hardness (up to ~70 HRC), resulting in the main attribute of improved resistance to contamination. Nitriding is the addition of nitrogen to the surface by diffusion process, resulting in a nitrogen profile that gives an increased hardness profile. When nitriding aerospace-grade steels, extensive testing has shown the importance of the resulting microstructure (e.g., no surface white layer and no precipitates along the grain boundaries) in achieving the full benefits of the process. 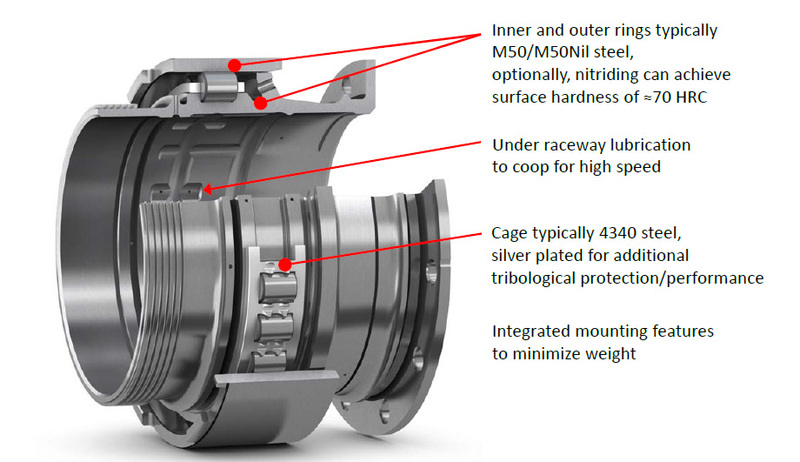 As nitriding is both time-consuming and costly, it is today mostly utilized on large (>120 mm bore) main-shaft engine bearings (fig. 10). 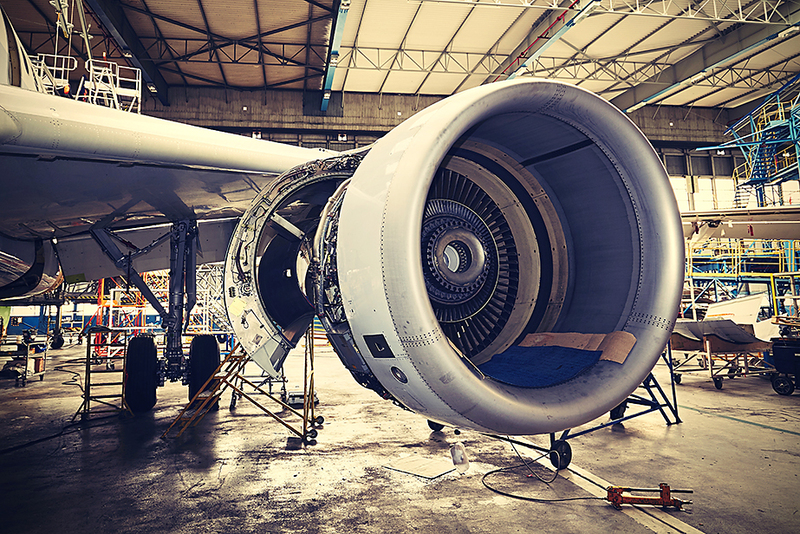 It is projected that the operating conditions of next-generation aircraft engine bearings (2030+) will exceed the capability of steel bearing materials currently used today (fig. 8). Fig. 10: Engine main-shaft cylindrical roller bearing. Fig. 8: Aerospace main-shaft engine ball bearing (thrust load) peak operating condition trends enabled by material, design and manufacturing advances. Actually, this phenomenon is already driving emerging highperformance engine designs to incorporate alternate material combinations and surface treatments to enhance current material life and performance including hybrid bearings (steel raceways and silicon nitride balls) and nitrided- M50 and nitrided-M50NiL steels. 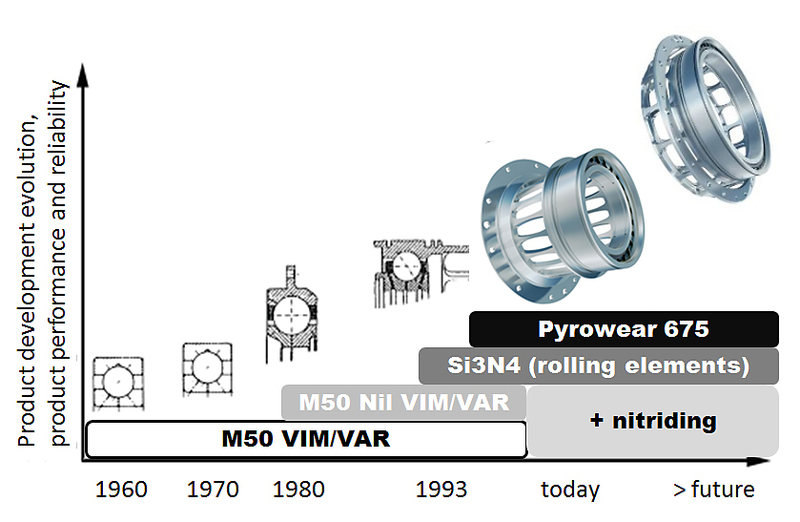 Of the numerous potential candidate materials explored during the past two decades, Pyrowear®675 (P675) appears to stand out as exhibiting all the properties desired for a next-generation bearing alloy including: temperature capability maintaining ~58 HRC at 357 °C, double vacuum melt, corrosion resistance, significant case-compressive residual stress, low retained austenite, fine grain size carburized case and balanced large carbides for wear resistance without debit to RCF life. P675 is a highstrength, carburizing grade martensitic stainless steel that was developed by the Carpenter Technology Corporation. Fifty years ago, Aviation Week magazine ran an ad describing the “new” Boeing 737, which already had attracted 124 orders from 15 airlines. This would be the start of the first family of jets in the world. This aircraft was designed with commonality and longer range than the 707 and 727 Boeings and had – new at the time – sixabreast seating. The jet would make its first flight on 9 April 1967, with the first delivery of the 737-100 to Germany’s Lufthansa. Today, the 737 continues to break records with a total order book of more than 13,000 aeroplanes and over 9,000 deliveries since inception. The 737 MAX is currently being flight tested. It incorporates the CFM LEAP engine as the sole engine solution (fig. 9). CFM International is a 50-50 joint-venture company between GE Aviation in the United States and Snecma in France. LEAP is a next-generation aircraft engine being designed and developed with a focus on improving fuel consumption and reducing emissions and noise levels. Variations of the LEAP engine will equip the Boeing 737 MAX, Airbus A320neo, and COMAC C919 aircraft. 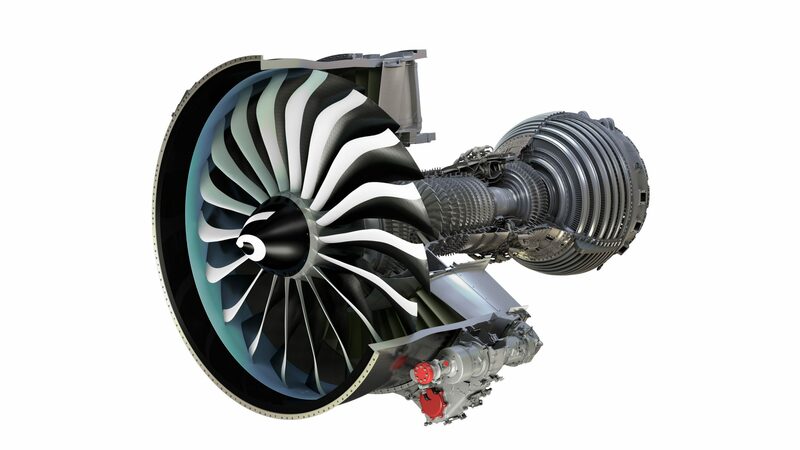 The CFM LEAP family represents the engines of choice for the next-generation single-aisle aircraft (fig. 9). The LEAP-1A is an option on the Airbus A320neo; the LEAP-1B is the exclusive power plant for the Boeing 737 MAX; and the LEAP-1C is the sole Western power plant for the COMAC C919. These engines have garnered orders from more than 50 customers across the globe. SKF has a long business relationship with CFM International and has contributed knowledge in manufacturing technology, design and testing of main-shaft and accessory gearbox bearings throughout the development of the LEAP engine. The ceramic hybrid main-shaft bearings that have been developed for the LEAP engine programme will help contribute to a lighter, quieter and more fuelefficient aircraft engine that emits up to 16 % less carbon than its predecessor, the CFM56.